ABP and HEY Children’s University have worked to together to launch a series of educational cruise trips this week for over 260 children from across Hull. The youngsters will step aboard The Yorkshire Belle from the Port of Hull and they will learn about the economic importance of the busiest estuary in the UK and its deep-rooted history. 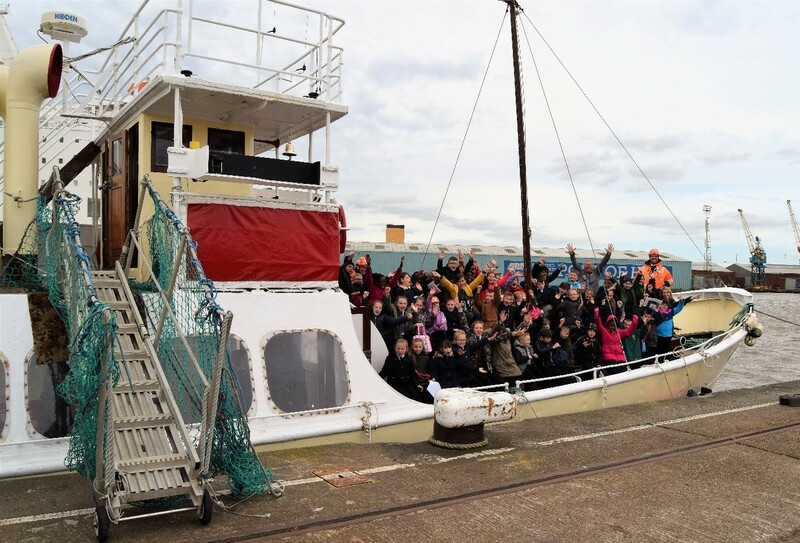 Over four years, 1,000 primary school children have enjoyed this sea adventure and this time round they will experience views of Paull Sands and the Humber Bridge. Simon Bird, ABP Humber Director, said: “We hope to inspire and educate future generations with this totally unique learning experience that runs across five days. Last year, ABP’s knowledgeable pilots and coxswains supported and guided over 40,000 shipping movements in the Humber. The Humber is one of the most difficult waterways to navigate due to constantly shifting sand banks. As well as finding their sea legs, children will be singing and writing sea shanties which will improve their literacy and creative skills. Natasha Banke, Director of HEY Children’s University, said: “We are so grateful for the funding that ABP provides. The children learn so much from taking part and it can mean a different long term outcome because of an aspiration gained whilst taking part. For many people, the first time they experience University life is when they are in early adulthood. 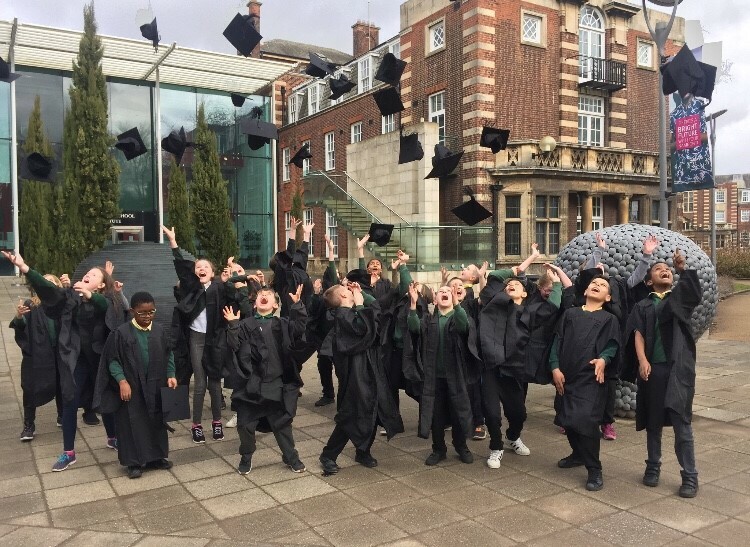 But for a group of lucky youngsters from Sidmouth Primary School, they got to experience what it is like to go to University at the age of 9 and 10! The University of Hull Business School and local charity Hull and East Yorkshire Children’s University (HEY) worked in partnership to provide a “day in the life” experience at the University of Hull. Marketing graduates were given the task to design an experience that would show the children what life is like as a student at the University of Hull, as well as designing a task for the children that would allow them to become “marketing students” for the day. The children were welcomed to the Business School and were introduced to the students, hearing about their interests and studies at University. 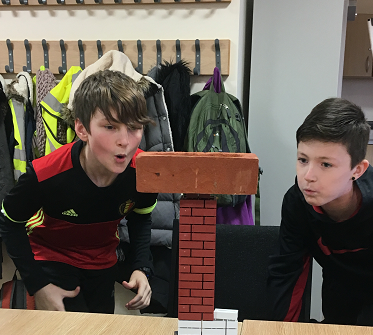 The children then went on an exciting tour of the campus, visiting places of interest such as the new Allam Medical Building, the Student Union and the famous 7th floor of the Brynmor Jones Library where they delighted at the panoramic views of Hull. They even spotted their school whilst they were up there! Then it was time for the children to get creative with their marketing task – to design a new reusable coffee cup for students at the University. The designs included a cup that showed the flags of all of the different nationalities at the University; a cup that had a different symbol for every degree that you could study at the University; and a cup that had a secret code to crack for a free coffee. The students had the very difficult task of picking a winning design which would be printed onto a real coffee cup for the child to keep. They decided on the “secret code” cup by Aleksandra as they were very impressed that she had really thought carefully about the marketing of the cup. With the marketing task a great success, there was only one thing left to do – graduate! The children had the honour of a visit from the Vice-Chancellor of the University of Hull, Professor Susan Lea, who wore her traditional graduation robes for the occasion. Each child, wearing their graduation cap and gowns, was presented with a graduation certificate and shook the hand of the Vice-Chancellor. 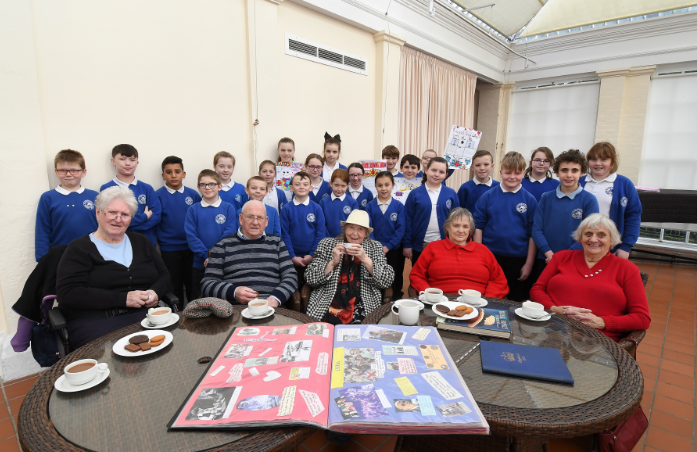 Children spend valuable time with members of a local residential home, sheltered housing scheme or day centre, to bring classroom learning to life, as members reminisce about days gone by, giving children the opportunity to compare and contrast the past to the present day. The experience can be designed to complement your school’s current topic or to fit a seasonal theme. To bring current classroom topics to life. To foster understanding and build relationships between generations to share experience and knowledge. To develop a deeper understanding of the past. To encourage empathy, confidence and raise aspirations of the children, and to gain an understanding of how they are intelligent. To understand the breadth of their local community. How we used to live, reminiscing childhood memories, holidays, careers, the war and family time. The Royal Family including coronations, weddings, royal babies, jubilees and royal celebrations. Technology and communication, including the internet, phones and computers. Exercise and keeping fit (chair aerobics for the elderly). AVAILABLE TO EAST RIDING SCHOOLS ONLY. East Riding of Yorkshire Council and the Hull and East Yorkshire Children’s University are teaming up to offer pupils in the East Riding of Yorkshire an insight into the world of communications and the media. 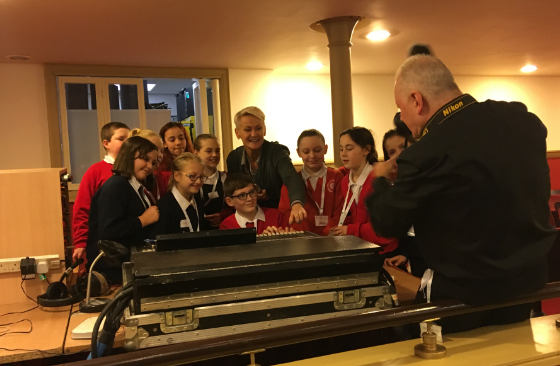 Pupils will learn about the skills involved in careers such as journalism, public relations and marketing and get the chance to put those new-found skills to the test with an exciting challenge at either the Bridlington Spa, East Riding Leisure Centre or East Riding Museums. To discover what is involved in being press and marketing officers with East Riding of Yorkshire Council, the tasks they undertake and the purposes of their roles. How to conduct interviews in order to get interesting information and then how to turn their interview notes into articles and social media content. What makes good photographs and how to take them, learning all about framing, composition, lighting, use of props and other technical aspects. How to record film footage and then edit it to produce video content which appeals to social media audiences. Effective ways to use social media for publicity and marketing purposes. How live radio is produced with a special insight into a BBC Radio Humberside broadcast. Welcome and introductions from the East Riding of Yorkshire Council Marketing and Communications team. Social media editors – Deciding which content to feature on the Twitter feeds to best promote venues and activities. Reporters / press officers – Creating their own questions to interview key members of staff and then producing interesting posts for social media. Photographers and video producers / vloggers – filming interviewees and using video editing software to finalise their footage and taking pictures of staff which will catch people’s eyes on social media feeds. Their challenge will be to use photos and video to tell the story of the venue, event or show depending on location of experience. This experience has been produced in association with West Building Supplies, Bridlington and East Riding College, Bridlington campus to provide children with an insight to the construction industry, and investigates the number of careers available within the industry. To provide children with an awareness of the careers available within the construction industry from the ground up, including geologists, architects, builders, plumbers, electricians and much more. To raise the aspirations of local children, local jobs and the skills and education needed to secure roles in the future. To discover work in the construction industry is not always about getting your hands dirty! To link the supply chain and the sourcing of products from across the globe, for the use by local trades. An overview of the construction industry at East Riding College, Bridlington. This fun packed creative storytelling day for Key Stage 2 introduces pupils to the creative world of animations. During the day the pupils will be planning an animation with digital storyboards, capturing scenes by creating short videos and editing their final movie, adding graphics, sound effects and music to produce something they will be proud of. Plan a creative story by capturing images. The story will include an introduction, problem, dilemma, resolution and ending. 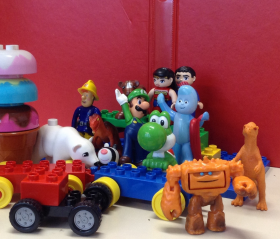 Animate characters and props scene by scene using stop motion technology. Edit a final movie with sound effects, backing track and graphics to bring their animation to life. The finished animations could be a great stimulus for creative writing projects. Create professional looking posters to promote the animation. All the completed animations and posters will be hosted in an app which can be shared with parents and the world!